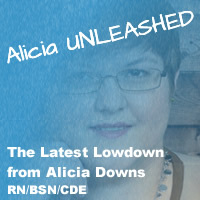 Feeling pushed around by your medical world? Maybe it’s time to live with diabetes like a boss! In my adult life I have been both an employee, and a business owner. Both experiences have taught me many lessons, including the invaluable ability to see a given situation from both sides. But whichever role I have been in, it is always very clear which role I fulfill. I’ve never walked into my first day at a job and wondered if I’m the owner or not! I never walked into my business and wondered if I was going to be the owner today! Likewise, at no point have I ever confused the functions and limits of the two roles. An employee simply does not have the control, decision making power, and final say so that the owner has! As an owner I could not simply delegate all decision making authority to my employees and expect the business to achieve my goals! However, in our healthcare we all too often seem to forget who we are and what our function is. We walk into a doctor’s office feeling like we are up for our annual review and might get fired! Often this anxiety leads many of us to avoid appointments entirely. That is just not ok. In order to achieve our wellness goals we must be able to identify who we are in the process. Are we the owner, making decisions, setting goals and allocating resources? Owners are empowered by their ownership to hire professionals to help them achieve their goals. Those professionals are entrusted with resources of time and money to help achieve those goals. However, should those professionals prove to be unable or unwilling to work toward those goals the owner has the authority to dismiss them from their employment. Are you owning your wellness? Are you hiring the best team to work with you to achieve your wellness goals, or are you an employee? Employees have good ideas, they bring skills and resources to solve problems, overcome barriers, and hopefully achieve, or even surpass the goals set forth by the owner. But employees cannot just set a goal outside of that of the entity they are working for. The employees cannot just decide to change the direction a company is going, or radically change the allocation of resources without consent of ownership. No employee who came in, told the owner “you cannot spend company resources on the equipment to achieve that goal because I don’t think it is necessary” would have a job for very long. Likewise, an employee who walked into work and said “we are not going to continue working toward these goals because I feel that something else is more important” would soon be working on those goals without a job. Are you leading your wellness goals and efforts like a boss, or just toeing the company line? Which side sounds more like your experience with your wellness? With your diabetes? Typically I hear clients saying things like “I really wanted to… but my doctor just ignores me.” or “I would like to use… but my insurance company….” Those are not the struggles of an owner, those are the struggles of an employee. Remember, every insurance company, doctor, pharmacist and educator you work with is working for you. Your goals are the reason you are working with them! Not every employee should work for every company. There are really good employees at technologies companies that would completely fail at banking, and amazing professionals in research that would fail in the arts. Likewise there are great doctors and insurers and diabetes technologies companies that may not be the right fit for you personally. They may not have the right set of qualities to meet your needs and help you meet your goals. Own your wellness, take accountability for it and build a strong team, even if that means letting someone go and going through the arduous task of finding the right people. Many of our clients here at Integrated Diabetes Services tell us “my endo just doesn’t get it like you do”. That is because we live it, all of our educators are also living with diabetes. We also specialize, diabetes is what we do, we are not also treating hypothyroidism, adrenal dysregulation, pituitary issues and a hundred other complex diseases. This allows us to focus on the needs and goals of our clients. We also make it a point to listen to your goals. Some clients really want to get the best A1C possible, some want to maximize their physical performance, and some want to have a health pregnancy. No one treatment size or style fits everyone, so we tailor the treatment to fit the needs and goals of every individual. If your doctors do not know what your goals are, ask yourself, are they really helping me meet my goals? However, it is also important that we know the difference between being a boss and being a tyrant. A good owner listens to employees, takes input from peers and is ready to be flexible. No good owner has ever said the phrase “I sign your paycheck”, that is simply not effective communication, particularly if that employee has the option to work elsewhere. Successful owners are flexible, they communicate with their teams and are open to change and suggestion, but they do not ever forget that in the end the results are in their hands to deal with. No successful owner has ever ignored the advice or request of their employees simply because it did not fit their own view. An owner who surrounds themselves with “yes men” will not be in business for long. We form a team because we know that other people bring valuable skills, insight and resources into play. That is one reason that diabetes educators at Integrated Diabetes Services have diverse specialties. From nutrition, mental health, exercise, and complex medical management, our team works together with our clients to use our varied skills and perspectives to meet not only diabetes goals but life and wellness goals. There is a lot of discussion in our current political world about who is the “payer” for our healthcare system. I don’t have an answer as to who is the financial backing of our current system, much less what the ideal one would look like. But I can tell you with absolute certainty, that no matter who foots the bill, the patient is left holding the outcome. You own your body. The first step to being an educated and empowered patient is acknowledging that, with all the burdens of accountability and action that come with it. 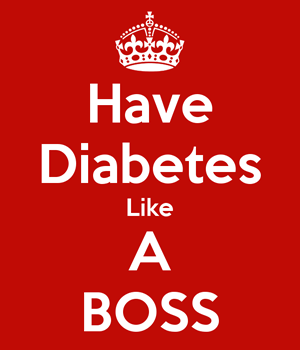 So if you have to have diabetes, have diabetes like a BOSS!